I already mentioned that things have been busy for the whole month of January. 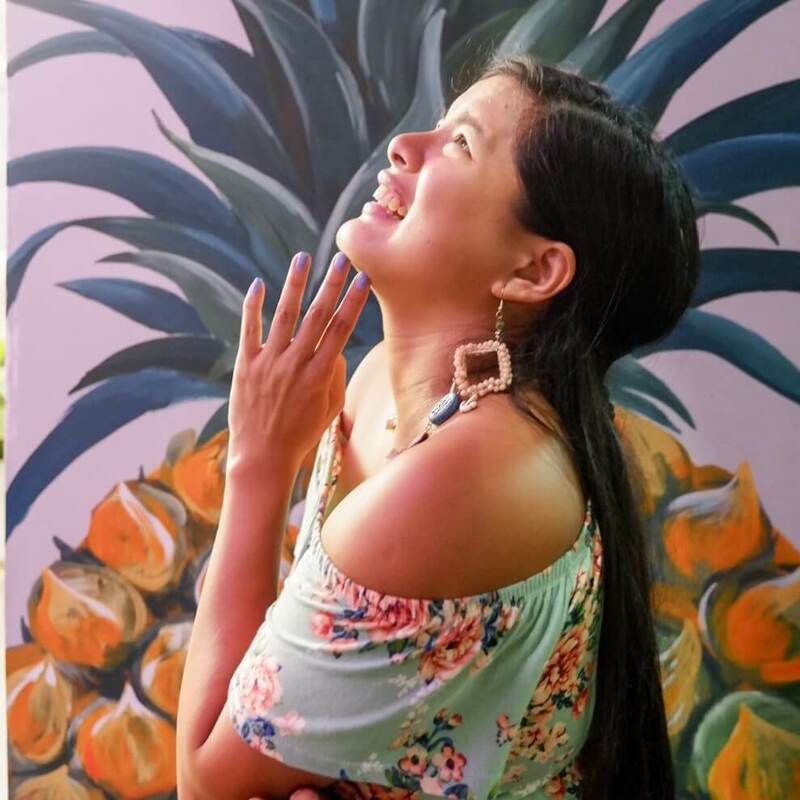 I was barely even sleeping at all for the launch of an online magazine, Taste.Company, a lifestyle with a heart. After all the excitement, I had to treat myself to a one-day rejuvenation in The Mandara Spa. The launch was Last January 30, and it was held in RJ Bistro, so we thought to book a room in Dusit Thani. After all the work, we needed a place to get ready and crash after the event. 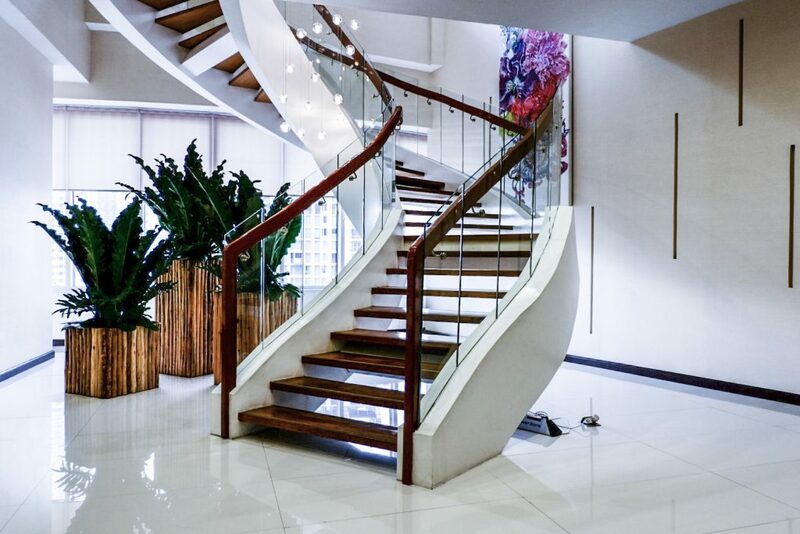 Dusit Thani is conveniently located near the Makati central business district and prestige malls in the metro: SM Makati, Glorietta, Landmark and Greenbelt. 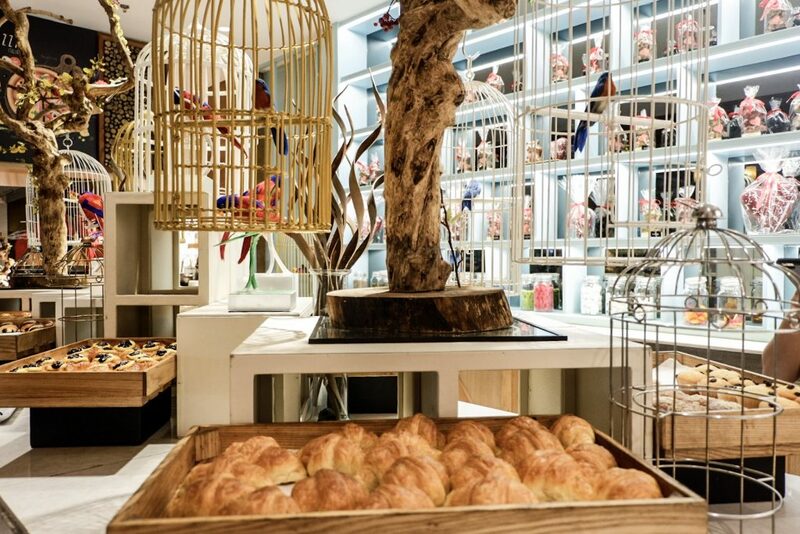 The Dusit Thani Hotel is one of the city’s culinary hubs where outstanding restaurants can be found namely Benjarong restaurant, Umu Japanese restaurant and The Pantry—an all-day dining restaurant. Best news ever, while checking in, the person in the front desk just said, “Ma’am, we upgraded you to a premier suite room in the new wing, for free”. I honestly don’t know why, but who wouldn’t say yes to an upgrade right? Our room was so new and huge. I imagined just a large room but this was downright palatial. It even had its own office space and living room. It was so big that my roommate, Tina, and I felt we had more than enough space for two. Frankly, it was perfect for our use. The girls of Taste.Company used it to get ready. The bathroom had a big landscape mirror where 5 girls can get ready all at the same time. It felt like a salon and at that point it was perfect for our needs. While two of us were blow-drying our hair, the others were putting on make-up while some were getting dressed in the next room. The hotel has a spacious living room and an office desk ideal for business meetings. While my companions were dressing up, I was working in the living room, doing a last-minute check of things that were needed for the launch. People bragged about the coziness of the rooms, in fact, some even said, that this was Dusit Thani’s selling point and I was not disappointed. The clean, modern décor did not detract from the homey feel. The room had an enormous and soft bed for me to sprawl out on and call it my own spot! It was perfect to crash in right after a long day since we went up to the room at around 1:30 am after the whole event. The bathroom is well-equipped with amenities such as a hairdryer, bathrobes, bedroom slippers and toiletry set, shower and a bath tub. Really, if I had more time, I would have liked to make the most of it! 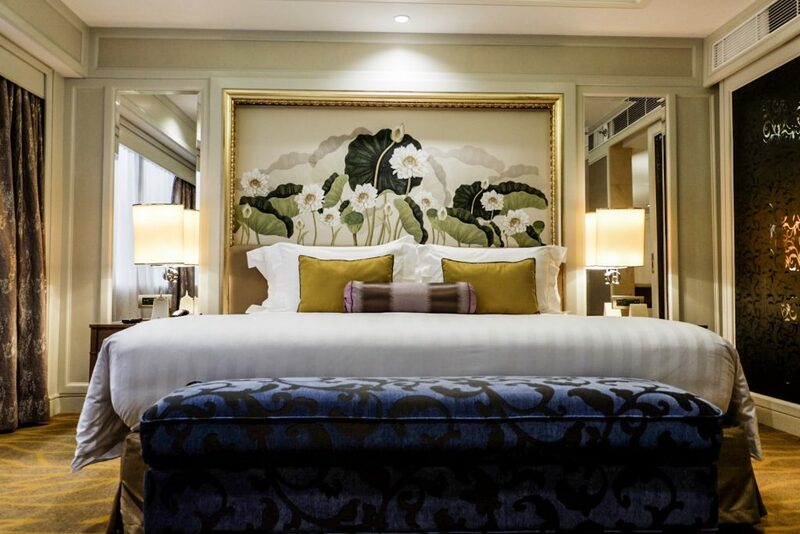 Dusit Thani has a good selection of room types that offers flexibility for all kinds of guests. They cater to businessmen, couples and families. You can choose from Deluxe Rooms, Premier Room, Grand Room, Club Executive Suite, Club Premier Room, Premier Executive Suite, Junior Suite, Royal Suite to Presidential suites. Food is a huge part of a luxury travel experience and disappointing restaurants can really be a deal breaker for me. Fortunately, the food in The Pantry did not disappoint. 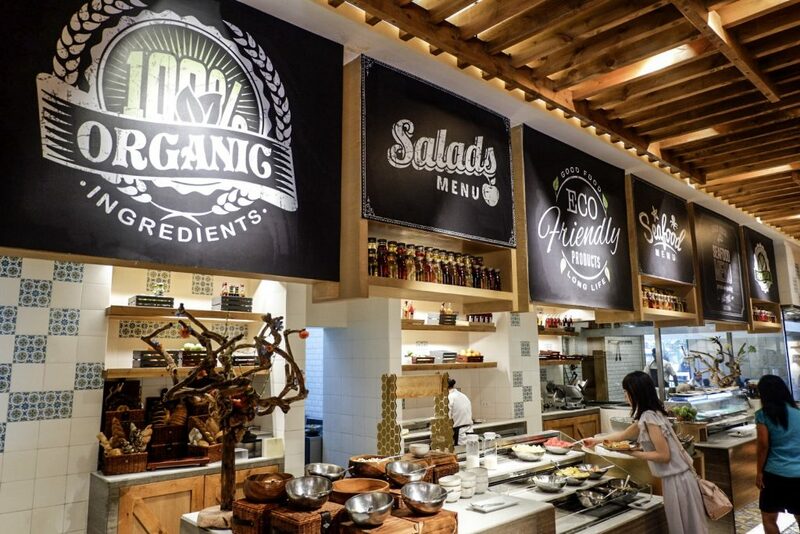 Breakfast at The Pantry serves a mix of Asian dishes with organic and locally-sourced produce and ingredients. The place has a ‘Grab & Go’ cafe area and a bar space that’s ideal for get-together or after dinner drinks. Since I love cold cuts, I went for salami, cheese and yogurt. For the Filipinos and Filipinos-at-heart out there who prefer rice, there’s a good selection too. A selection of rice meals were also offered like beefsteak, sausage, egg, and the like. There was also dimsum, miso soup and congee as well. They also serve different kinds of bread from raisin bread to ensaymada to spanish bread to, well, there was quite a variety, the others I am not familiar with. Needless to say, I was very satisfied with my breakfast for that day! 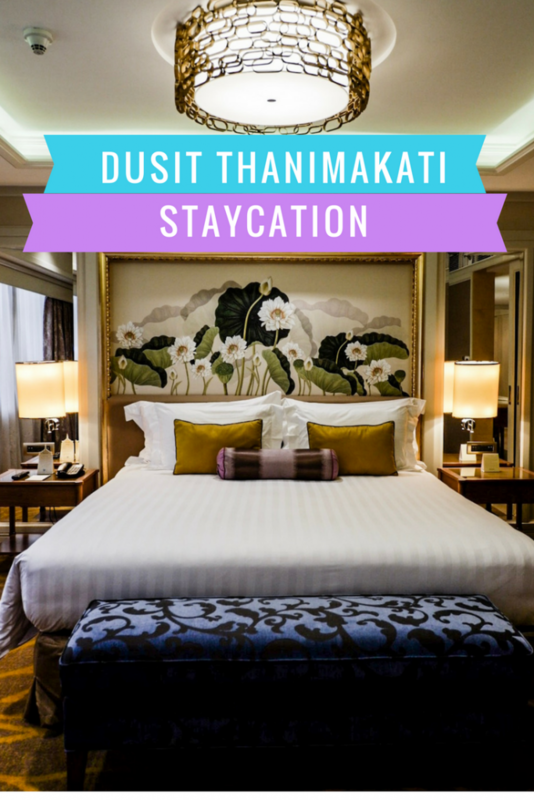 Dusit Thani Hotel also offers a complimentary use of their swimming pool with a small bar and pavilion area nearby. Tina and I spent most of the morning just lounging around the sunbed, basking in the sun, and enjoying our first day of finally being able to rest. Yes, January was such a busy month that it was just fitting that we take a day to reward ourselves for our hard work. We did some laps in the pool and when we were done, we headed back to the room to chill a bit before we had to check out. They were kind enough to let us check out late—- we stayed until 2pm. I guess it wasn’t so busy because it was a Tuesday. 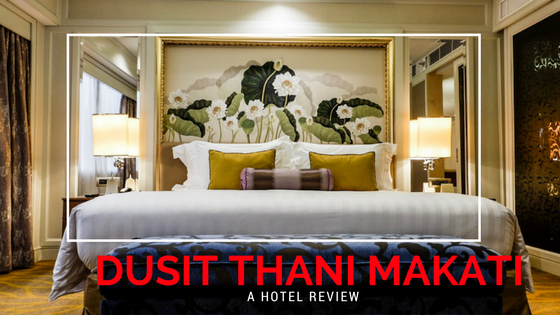 The service of Dusit Thani Hotel was commendable and the staff were very helpful and knowledgeable about the hotel facilities. The housekeeping staff were particularly efficient, maintaining the cleanliness of the room. After swimming, we asked for more shampoo and they didn’t hesitate to give us more. They were very attentive to the guests. Given that we had a lot of things to bring home, they immediately offered help and even took charge of our bags while we waited for our Uber ride. I appreciated that they made silly jokes while we were waiting in the lobby adding a personal touch to their already noteworthy service. Dusit Thani surprised me. Even Tina said that our room was a really cozy and all for Php 8,000.00 (I think we may have gotten a discount though). She said that she once booked in Agoda and got a bigger room for 5-6k. GOSH! That must have been a steal! 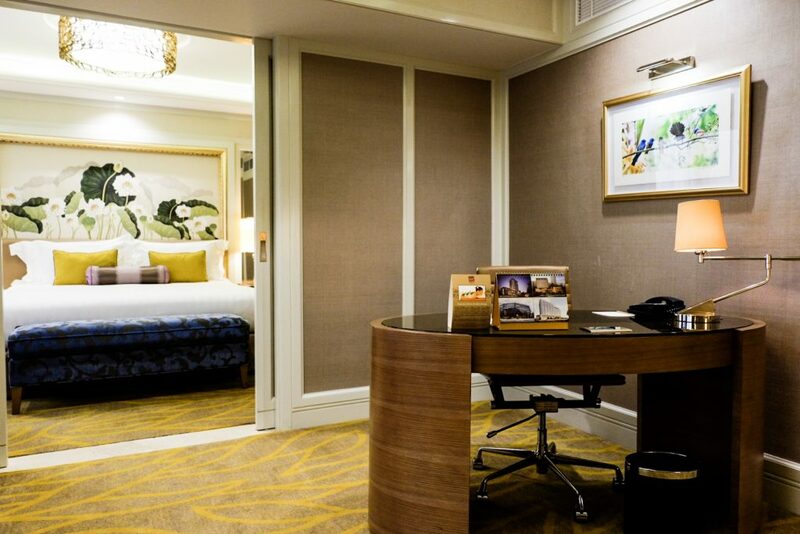 Dusit Thani is perfect for business trips because of it’s proximity to Manila’s primary CBD, but the amenities and service that will help you take your mind off things make it ideal for staycations as well. The room looks enormous but the thing that strikes me the most is the breakfast and the decor of The Pantry. The pool is a huge plus too! I agree with you: a luxury hotel must have a great restaurant. 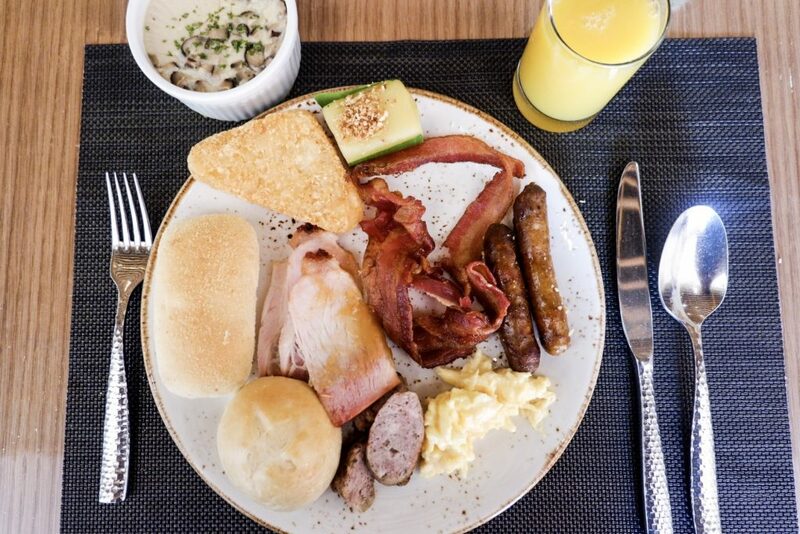 The breakfast looks spectacular. Love the way that it is decorated. Thanks for the thorough review! That looks so luxurious. 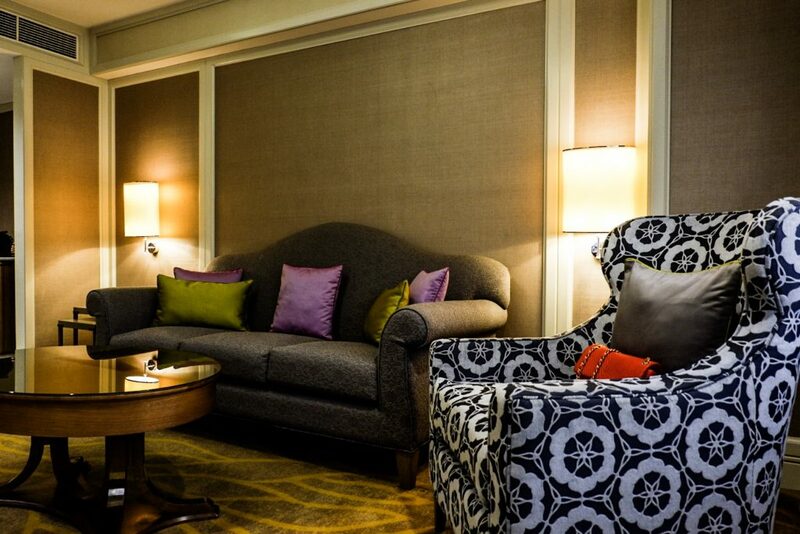 Love the furniture in your room and all the architectural details. Congratulations on the launch. Wishing you all success. What a beautiful room! I love how spacious it is and the decor. You must have enjoyed it so much!